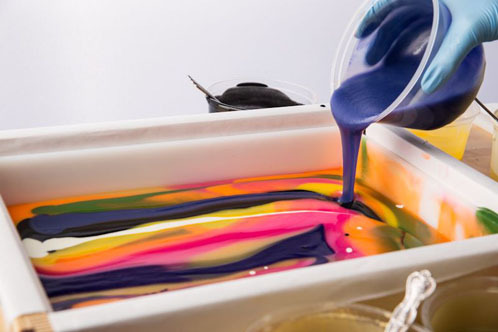 I’ve been working with the fabulous team at Storey Publishing on my new print book, Soap Crafting. It has been an amazing, mind-blowing, grueling, exciting experience so far (really, a little bit of everything). The book contains 31 Soap Queen designed and tested Cold Process soap recipes that I hope will knock your socks off. 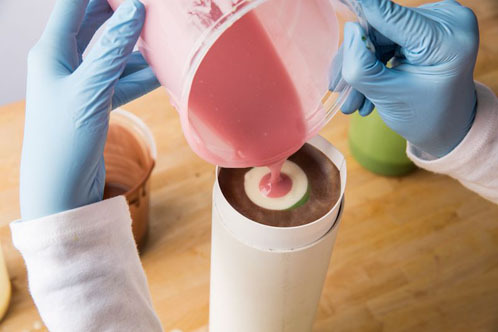 The book shows how to infuse natural colorants, how to dilute and work with LabColors, incorporate fun additives and even includes a glossary of soapmaking terms. 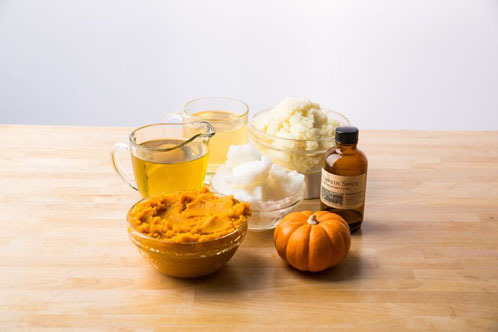 Plus, for beginners, there is a ton of introductory information about making Cold Process soap, a basic beginner recipe AND a breakdown of common soap making oils. Whew! The book is due to come out in August (three months after Bramble Girl is due to arrive if you’re keeping track! ), which feels like such. a. long. time. But as the book comes together, I’ll be giving regular updates on its progress. For now, here’s a sneak peek behind the scenes of the book’s photo shoot back in October. We worked with the amazingly talented Oregon-based photographer Lara Ferroni. 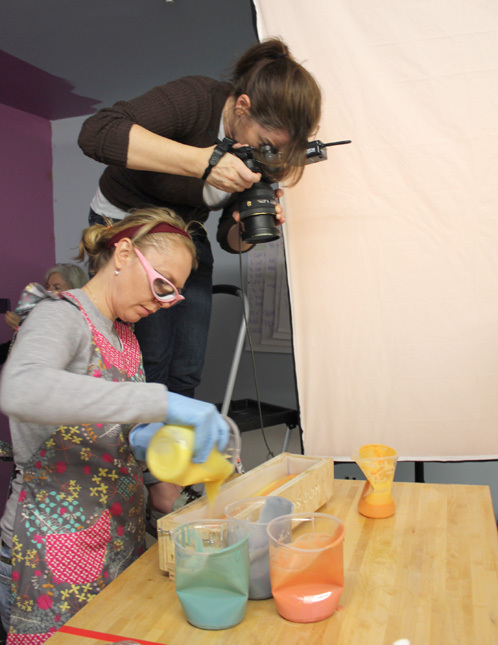 L’s specialty is food photography and photographing recipes-in-progress, which made for a natural transition to soap making photography. Plus, she’s written some great books herself and at the time of the photo shoot was in the process of finishing up yet another, so chatting with her about the book writing process (and all of the deadlines!) while she was taking photos made the experience especially relaxing. Lara’s eye was keen; a slight turn of a bottle or the tiniest nudge of a spoon made all the difference in the shots. She was kind enough to allow us to share some of her photos from the shoot, and our behind-the-scenes shots pale in comparison! The shoot itself was a marathon. Five days straight of soaping anywhere from 5-7 complex recipes per day was definitely fun but also required a TON of organization. Prep for the photo shoot started a few weeks in advance, with multiple people helping. 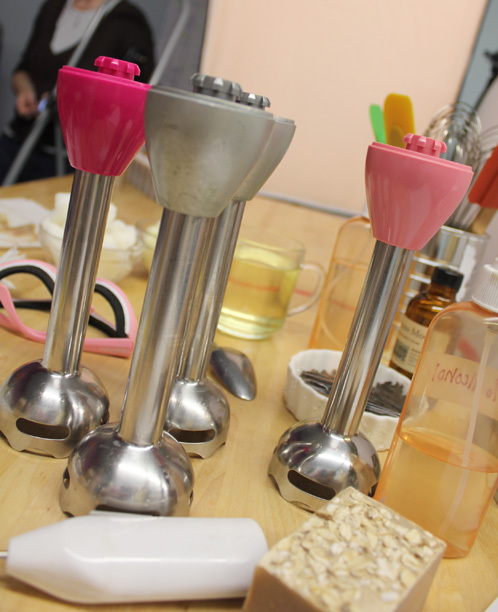 All of the oils were pre-measured and portioned, colorants were dispersed, and everything was organized by recipe and recipes were scheduled by hour to make the most efficient use of molds. 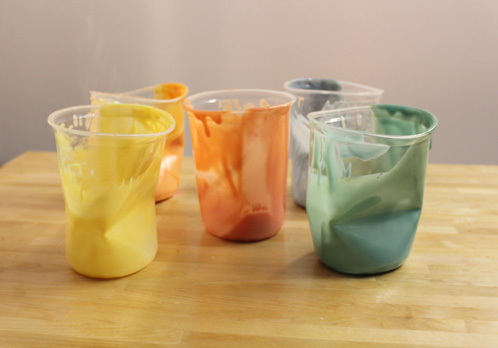 So when it came time to shoot, there was a (mostly) seamless transition between recipes and I was able to re-use most every mold from what we had in the soap lab. Lye waiting for it’s beauty shot – with proper safety note of course! 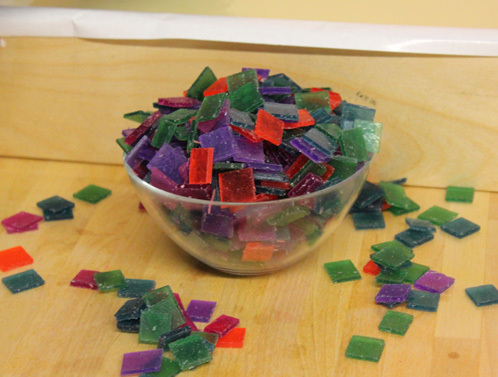 And now, here’s a sneak peak at some of the finished soaps from the book! We did the photography here so you’ll have to imagine it 190 trillion times better than what you see below for the actual book. If I haven’t mentioned it already, the book’s photographer, Lara, was ah-maz-ing. Like breathtakingly awesome. =) I can’t tell you how excited I am to show you even this little bit. I hope you’re as excited as I am about this bit of news, and be sure to check back often to see the books progress between now and August! ohoney, you are sailing away into ‘got it for keeps’ territory, now !!! 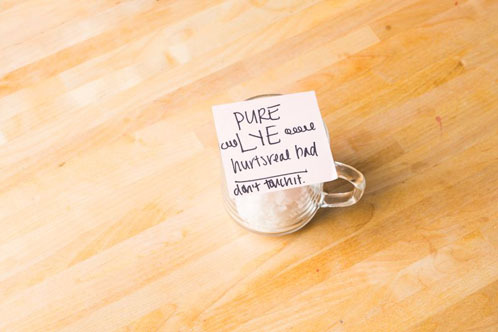 I love the internet, especially with you on it…but the lovliness of a book with such beautiful photography and your voice shining thru makes for a great coffee table book…and I can make soap in the kitchen without running back and forth to the computer screen all the time !!! your life is one big amazing, INSPIRING, DO-ABLE adventure and keeps me encouraged and sane ! Thanks for living your life AnneMarie ! Omigosh I can’t wait! Please consider doing autographed copies! Congratulations. This is confirmation that you are a genius. My hero. I am so excited. I love it Anne Marie. I would definitely buy it just for the amazing pics. Im so happy for you Anne Marie! I will be wating impatiently for your book to come out believe me. P.S. Brambleberry customer service is awesome! Great! Can’t wait for your book to come out! Congratulations Anne-Marie! So cool! Will you be coming out with a Ebook version as well? I know this book is gonna be so great! I am so pleased with what I’ve seen so far and can’t wait for the book. thanks for deciding to do it! How exciting Anne-Marie! I’m looking forward to buying this! Yay! I’m very excited by this news. I’m still doing M&P at this point, but was hoping to transition sometime this summer into CP soap. The timing is perfect! Thanks for all your help, you’ve truly made me a soap queen fan and soaping fan for life. Very cool. I know lots of people who will be interested in this one. Way to go! OH YIPPEEEE!! I can’t wait to get my hands on this! 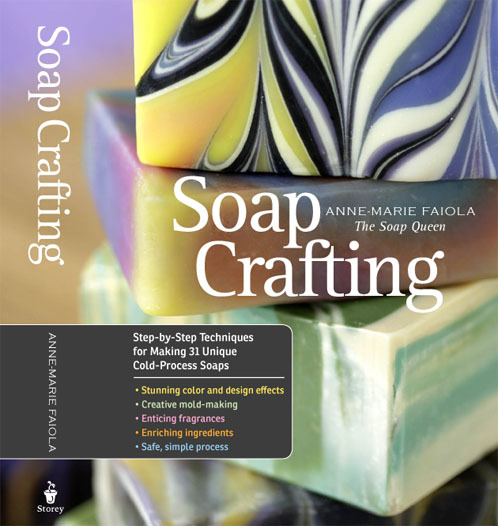 Our industry has needed this type of advanced soapmaking book…focusing on design and color! Can’t wait! Congrats on such an accomplishment…it looks like you put in a ton of work! You had me at “I’m writing a book!”. 🙂 It sounds like a “must-have”. Congrats! Yes, I will also want a copy. You will offer them forsale at BB, right? And I would love to have a signed copy…. makes it just that much more special to me. I am suprised you were able to keep that a secret for soooo long! P.S. I’ll ask about seeing if we can get any signed copies out the door. Congratulations Anne Marie 🙂 Book pre-ordered on Amazon, can’t wait! Oh how exciting for you and all of us. When can I put an order in? Are you doing a signing? All the best Anne-Marie and congratulations. You most certainly have been a bee zy girl… so many things unfolding. Congratulations. I love your Blog. 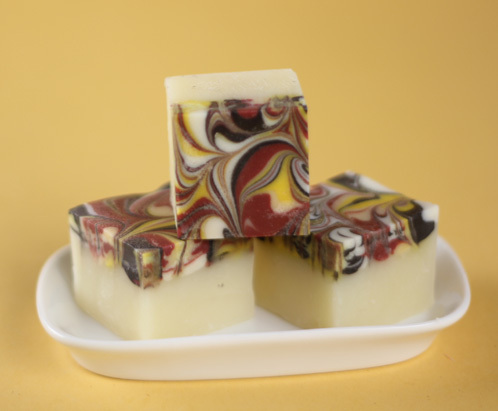 I also have your Cold Process Soap Making DVD. Congratulations, Anne-Marie! My, you certainly have been busy lately. Lara’s photos look fantastic and I am intrigued by the projects. I’m looking forward to reading your book! Is there a waiting list for the book ? I want to make sure I get one , let me know if there is a waiting lis ok? Thanks, and Congratulations !!! We don’t have a waiting list yet, but as soon as the pre-order link is ready to go, we will let you know! Can’t wait to get my hands on that book!!! Congrats on all the good news thats been coming your way. You deserve it! Excellent, I am really looking forward for the book, will be happy to pre-order, too! That is wonderful. I will be looking forward to getting a copy. Keep up the good work. Can we pre-order your book? I can’t wait until I have it in my hands! Awesomely excited for the book and your new addition! Hopng the book comes to Australia too. You will definitely be able to get the book in Australia (we ship internationally). So incredibly proud of you AM…I’ll be waiting n line for a copy! Did you sell to Brazil ? We do ship to Brazil and all we would need for you to place an order would be your tax ID number. If you have any questions about shipping or ordering from us, you can contact customer service at [email protected]. Cha-Ching! Looks like a winner! When I read the e-mail title, “Another Big Announcement,” for a split second there, I thought, “Good Lord! She’s having TWINS!” 🙂 But then I remembered seeing the ultrasound. But here you are giving birth to a book! Hilarious that you’ve made this announcement NINE MONTHS in advance – hahahaha! I’ve been thinking that your days must be much longer than mine (mine have 18 hours for work and family and 6 for sleep).;-)! I salute your work and am really looking forward for this book. How wonderful! Can’t wait for it to be released. I won’t be a beginner soap maker by the time the book comes out anymore. LOL! Congrats! This is a book I will own. Can’t wait! Me, jumping up & down with excitement! I can hardly wait for the book. Congratulations on ALL the good news. Wow! I’m super excited for you. And I can’t wait to get my hands on the new book! I find your knowledge on soap and all things bath and body worth their weight in gold. You are a true inspiration to me and so many others. Thank you for all you do. Congrats!!! I can tell from all the colors that I’m gonna luv! Can’t wait to purchase! What a wonderful progression for you! 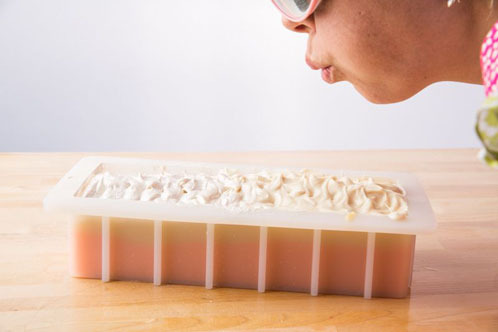 You have been an inspiration for so very many soapmakers and now to have you in print! Fantastic! Looking forward to seeing the book and Bramble Girl too. Thanks for the sneak peeks! The wait is going to be soooooooooo long. 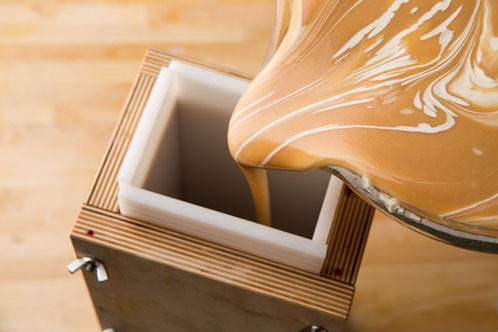 I am definitely getting one of these as soon as they are released 🙂 The in the pot swirl going into the vertical mold looks like caramel. Yummy! Oh, how exciting! 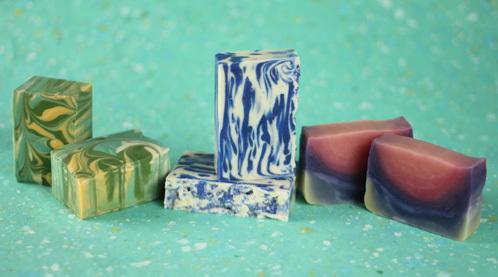 I’m having a baby in June, myself, so I don’t think I’ll be doing a whole heckuvalotta soapmaking in August, but the pictures are GORGEOUS! OHHHHH my goodness….how can we wait that long!! !